Dr Jago Cooper travels from Peru to the far north of Inca territory in Ecuador to reveal how the great strengths of the empire became factors in its rapid demise. In the concluding part, Dr Jago Cooper argues that it wasn't simply a clash of arms that destroyed the Inca but a clash of worldviews. He travels from Peru to the far north of Inca territory in Ecuador to reveal how the great strengths of the empire suddenly became factors in its rapid demise. 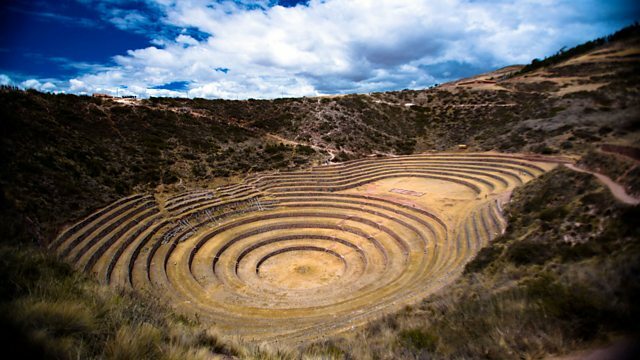 The Spanish conquest of the Inca destroyed one of the most remarkable empires in the world, yet the Inca legacy leaves a great deal for modern civilisations to learn from. Brand new shows and returning favourites get 2015 off to a thrilling start. A summer retreat fit for an emperor.